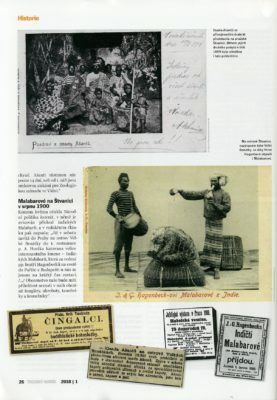 Welcome to humanzoos.net – the first online archive on human zoos. 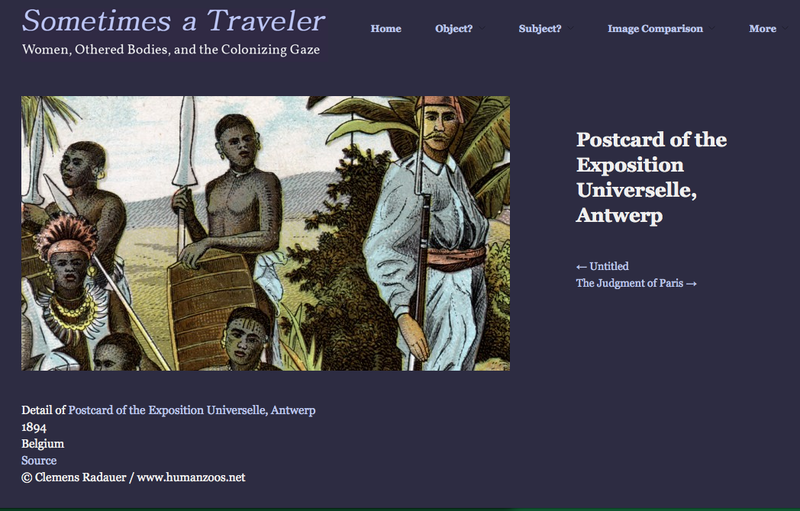 This homepage aims to be a guide for people interested in the phenomenon of human zoos, especially the visual remnants. The core of this archive is the Collection Radauer consisting of over 3000 postcards, photographs, publicity materials, newspaper articles and other items linked to the exhibition of “exotic” people in Europe and the USA. 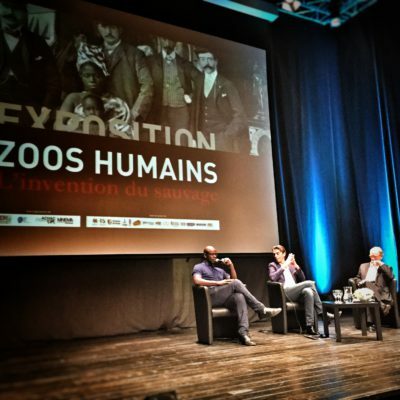 The Arte documentary “Savages – The Story of Human Zoos” was aired. 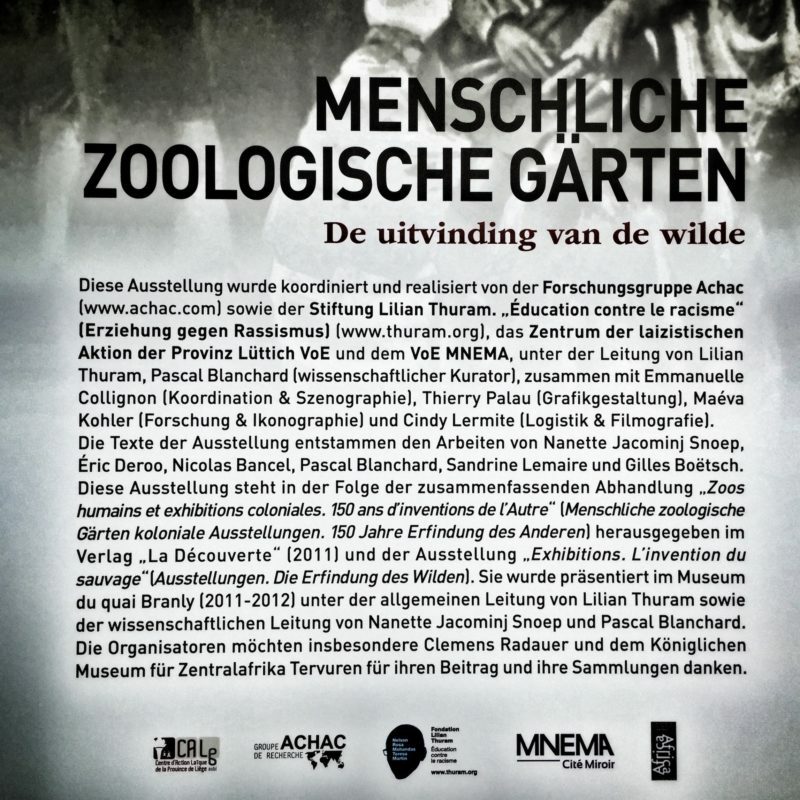 This feature film length documentary tells the history of human zoos worldwide by following the fate of six individuals who were part of human zoos. 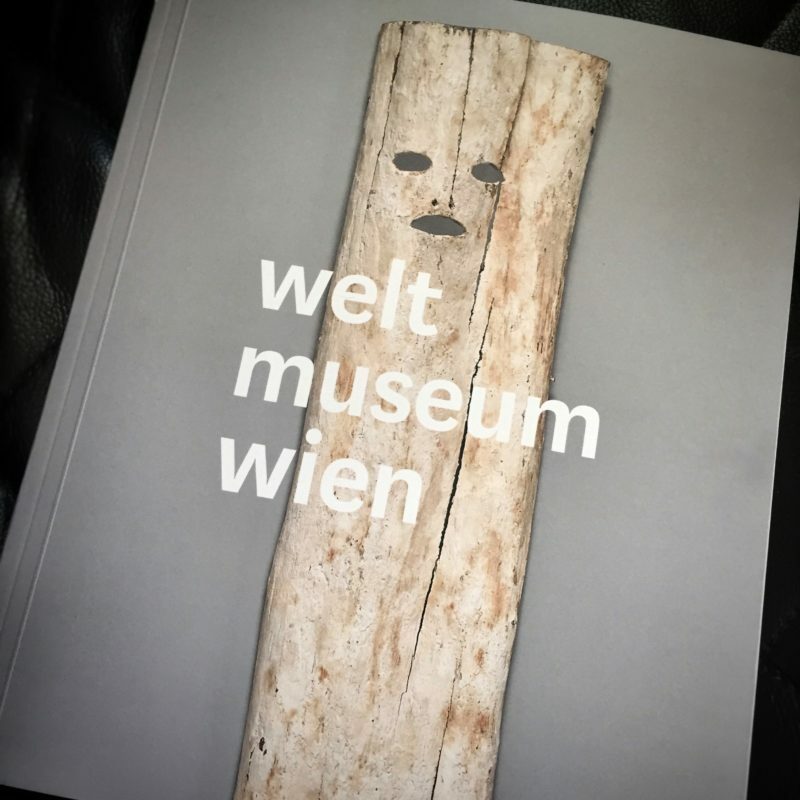 It is available online in French and German with English subtitles until November 28th 2018. 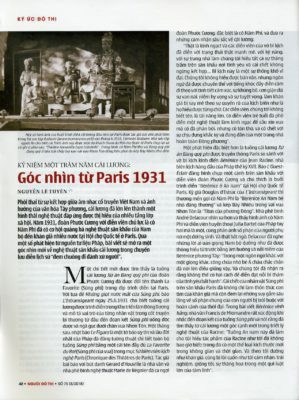 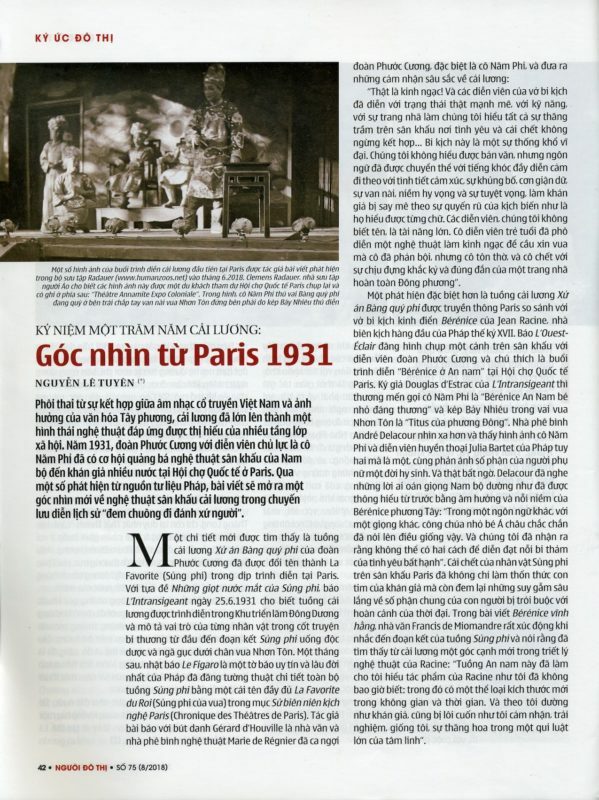 One picture from the Collection Radauer was used in an article in the Vietnamese magazine Người Đô Thị about the Annamit theatre which performed at the 1931 Exposition Coloniale Internationale Paris. 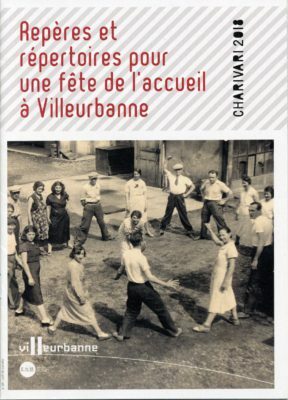 A brochure for the Charivari 2018 in Villeurbanne featured an article on human zoos which took place in Lyon mostly at Colonial Exhibitions (1894, 1899, 1914) included an image of the Collection Radauer. 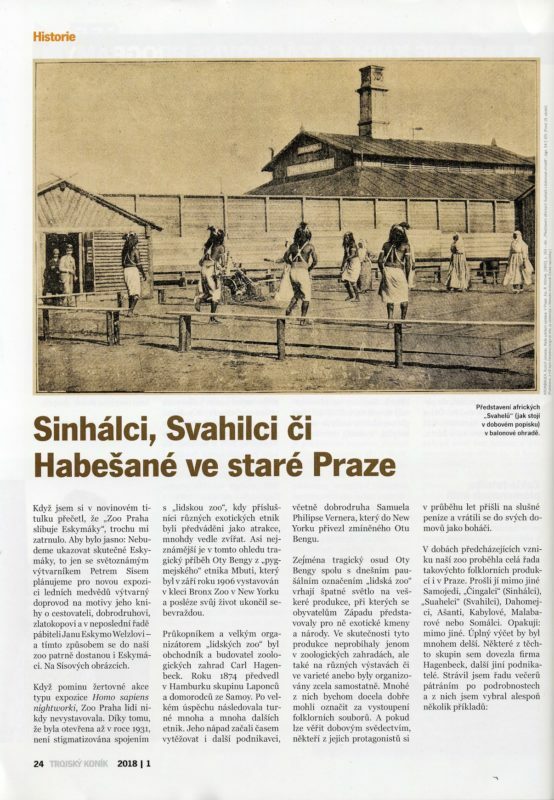 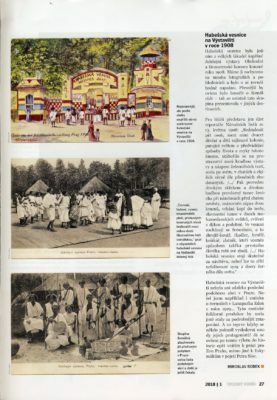 Images from the Collection Radauer were used for an article about the history of human zoos in Prague published in Trojský koník – the publication of the Prague Zoo. 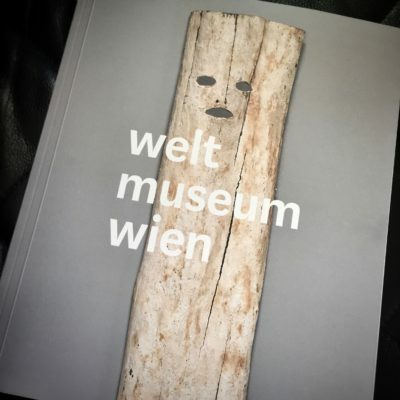 The catalog of the new permanent exhibition of the Weltmuseum Wien contains a short article about objects in the collection that are linked to human zoos written by Clemens Radauer. 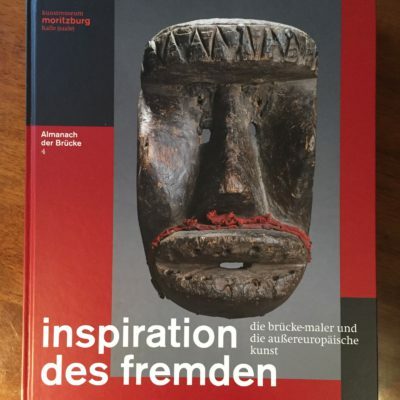 The catalog is available for sale in English and German here. The conference “Staged Otherness. 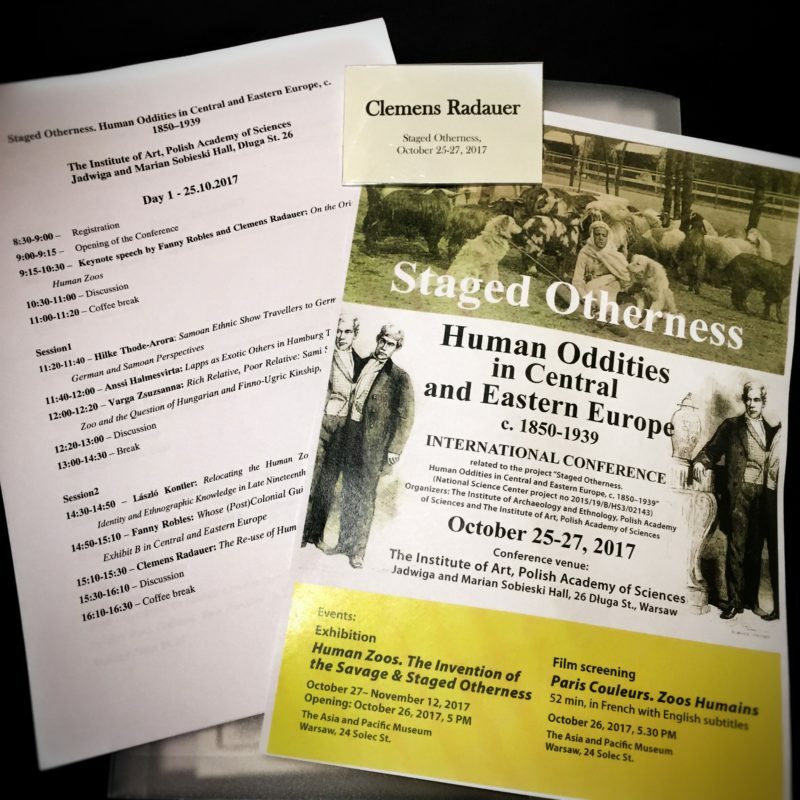 Human Oddities in Central and Eastern Europe, c. 1850–1939” was organized by the Institute of Archaeology and Ethnology and Institute of Art, Polish Academy of Sciences and took place in Warsaw, Poland. 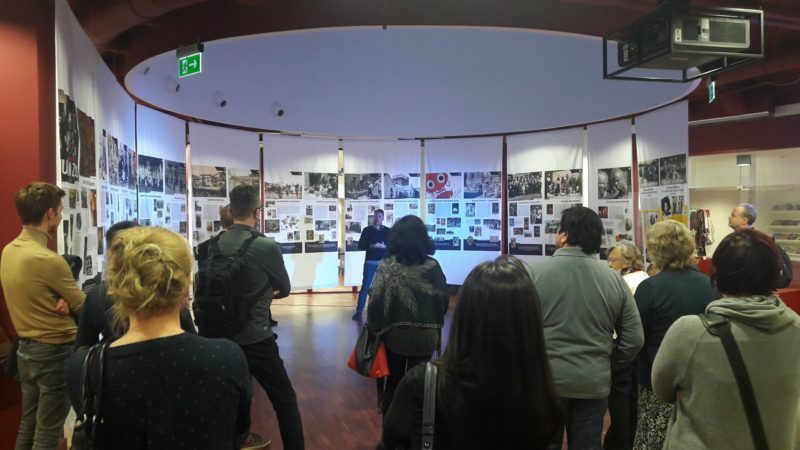 It was the first Central and Eastern European conference on this topic and many researchers from all over Europe participated, giving insight into their ongoing research. 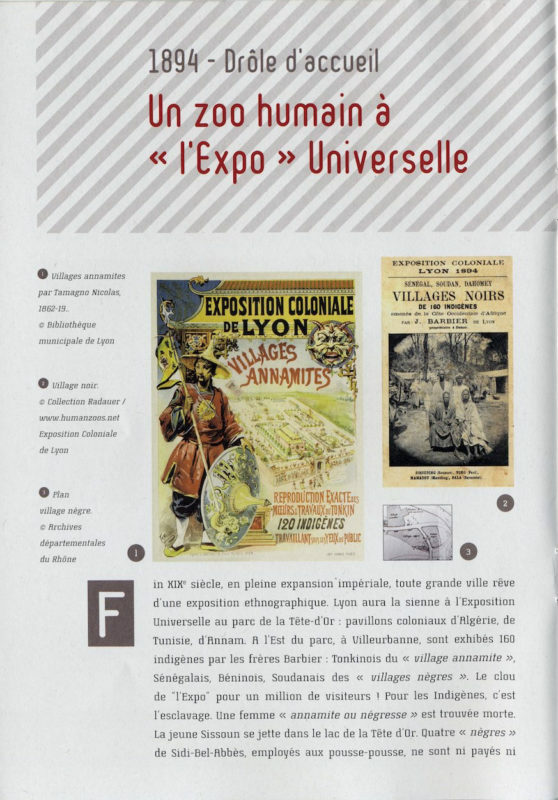 Here is asummary of the conference in French. 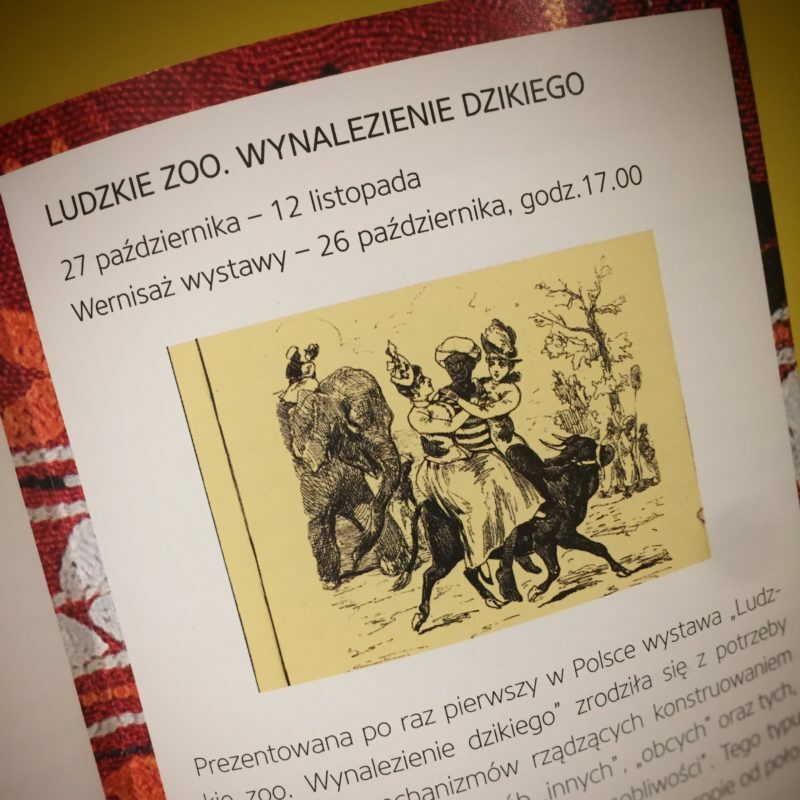 The exhibition “Invention of the Savage” by the ACHAC was also presented at the Asia and Pacific Museum in Warsaw. 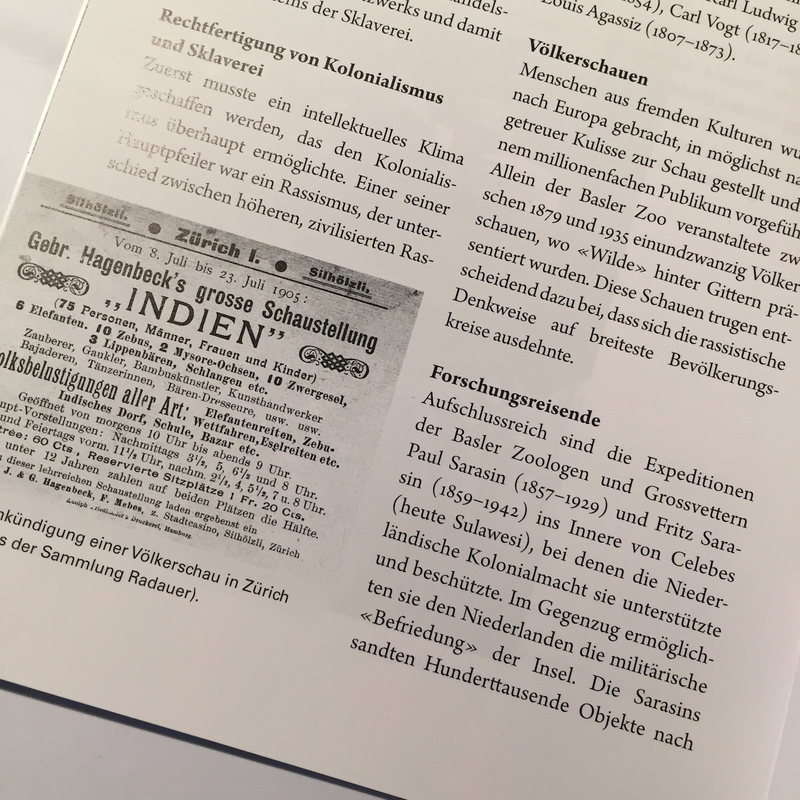 An image from the Collection Radauer is featured in the permanent exhibition “Zurückgeschaut” – which translates to “looking back” – at the Museum Treptow in Berlin, Germany. 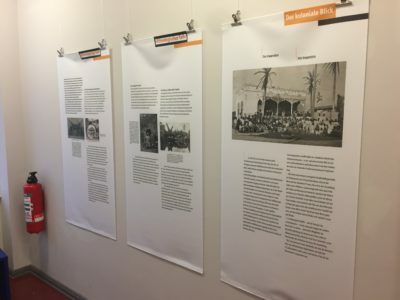 The exhibition focuses on the Colonial Exhibition that was part of the Berliner Gewerbeausstellung in 1896. 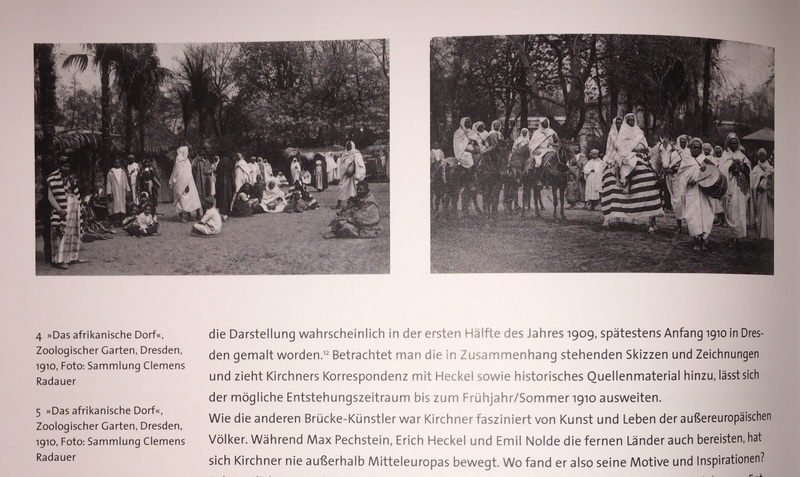 104 people from German colonies participated and staged their “traditional life” for the visitors. 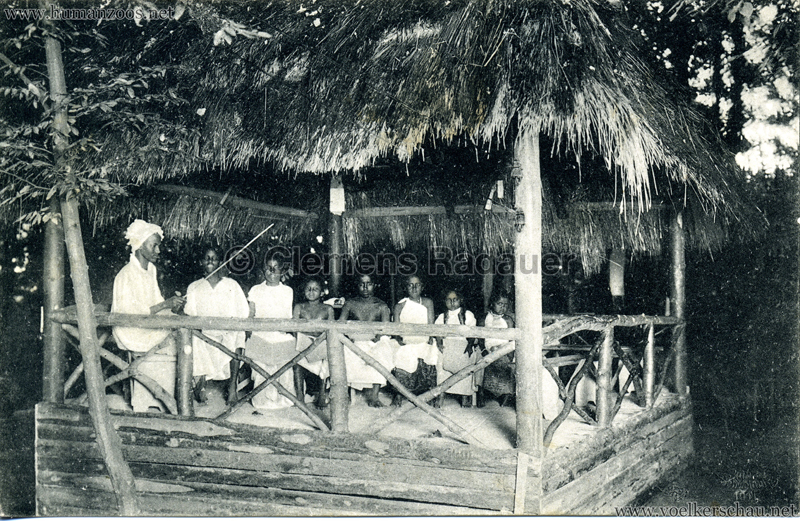 Their lives before and after the Colonial Exhibition are the main topic of the exhibition. Two images from the Collection Radauer were featured in a very interesting article on a Cobra that was found in the German countryside in 1911. 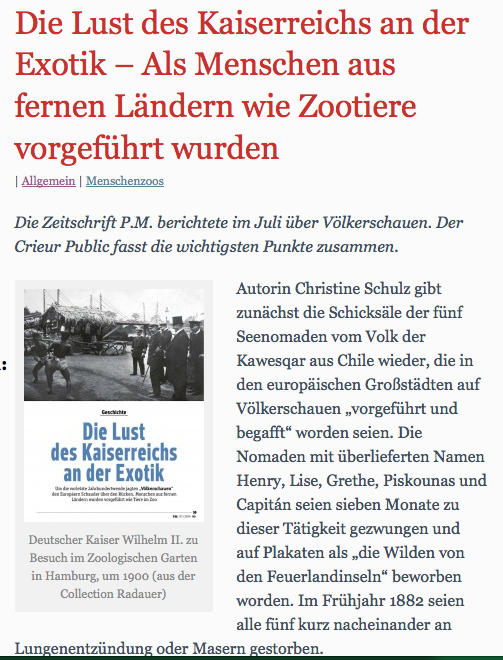 Since Cobras are not native to Germany the author of the paper, Andre Koch, figures the snake could have got left behind or escaped from a human zoo from India that took place in that area in that year: “Gustav Hagenbeck’s größte Völkerschau der Welt“. 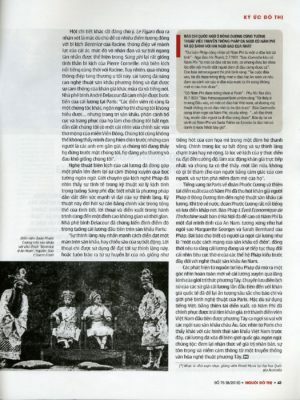 Read the article (in German) here. Two items from the Collection Radauer were featured in the catalogue of the exhibition Inspiration des Fremden – Die Brücke-Maler und die außereuropäische Kunst at the Kunstmuseum Moritzburg in Halle an der Saale, Germany. 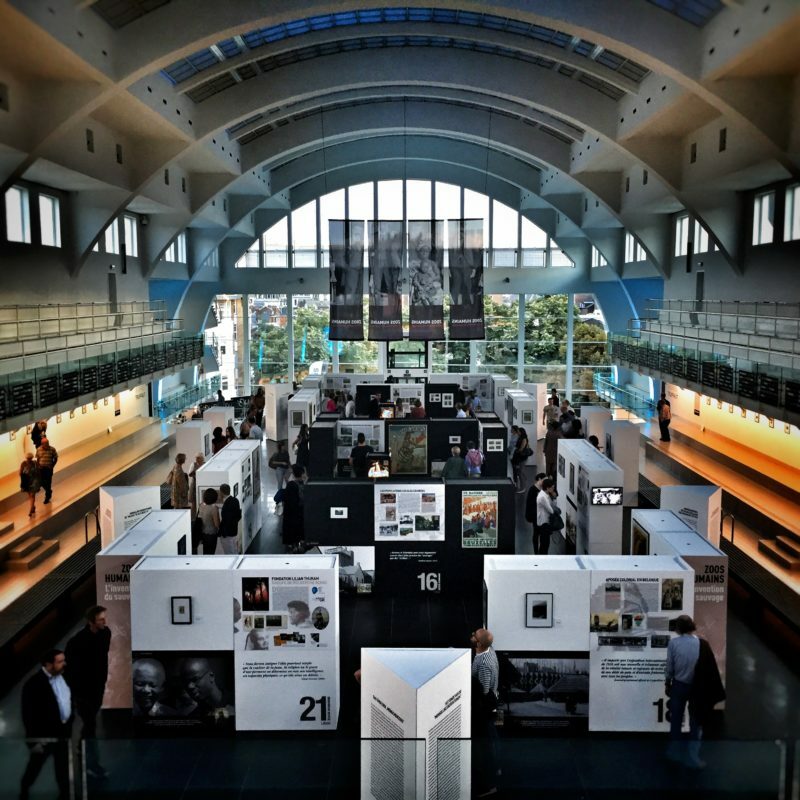 The exhibition that runs from 13.11.2016 – 29.01.2017, focusses on the expressionist group Die Brücke and how their art was influenced by non-European art. 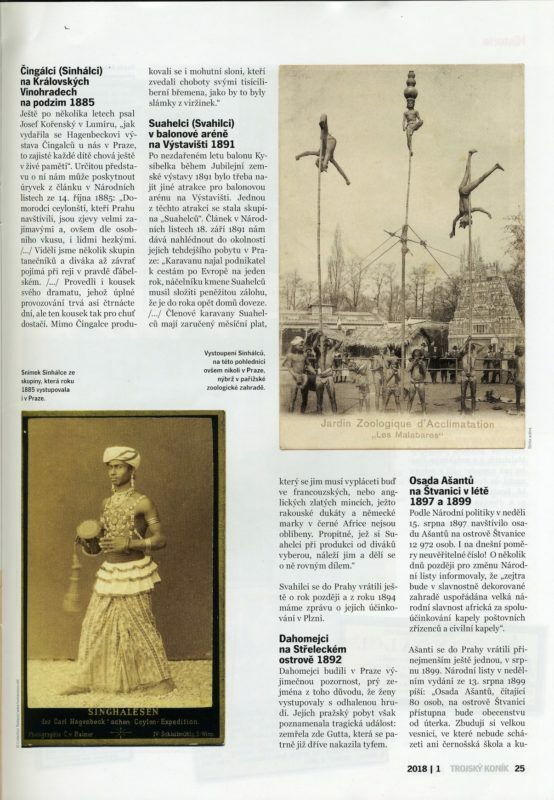 Some of the groups painters reportedly visited human zoos and sketched the performers. 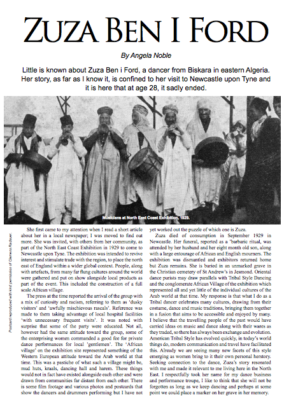 A postcard from the Collection Radauer was featured in the magazine of the NADA the Association for Arabic Dance. 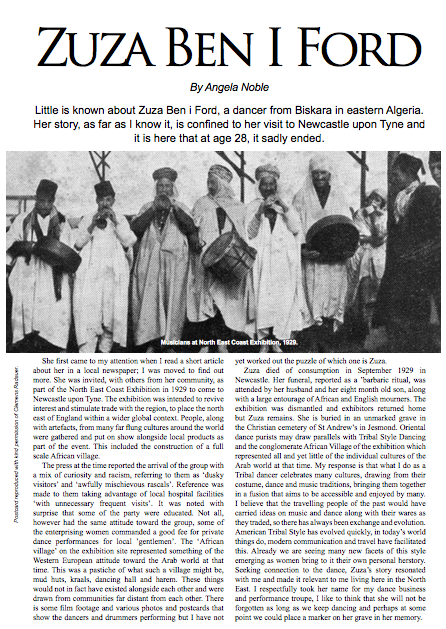 It was used in an article by Angela Noble about the Algerian dancer Zuza Ben I Ford who performed at the African Village at the North East Coast Exhibition in Newcastle upon Tyne in 1929 and tragically died of tuberculosis during her employment in Newcastle. 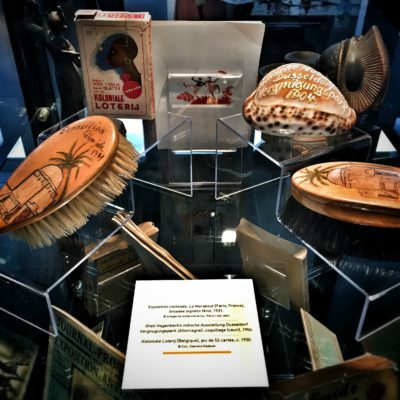 26 original items from the Collection Radauer are featured in the exhibition Zoos humains : L’invention du sauvage at la Cité Miroir in Liege, Belgium. The exhibition was organized by the CAL LIEGE, MNEMA, ACHAC, La Fondation Lilian Thuram and the Musée Royal de l’Afrique Centrale Tervueren. 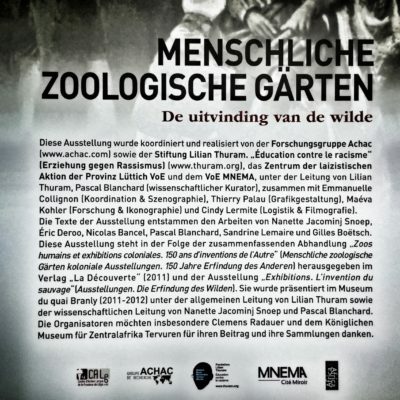 The exhibition is on from 17.09.2016 – 26.02.2017 and focusses on the history of human zoos with a focus on Belgium. 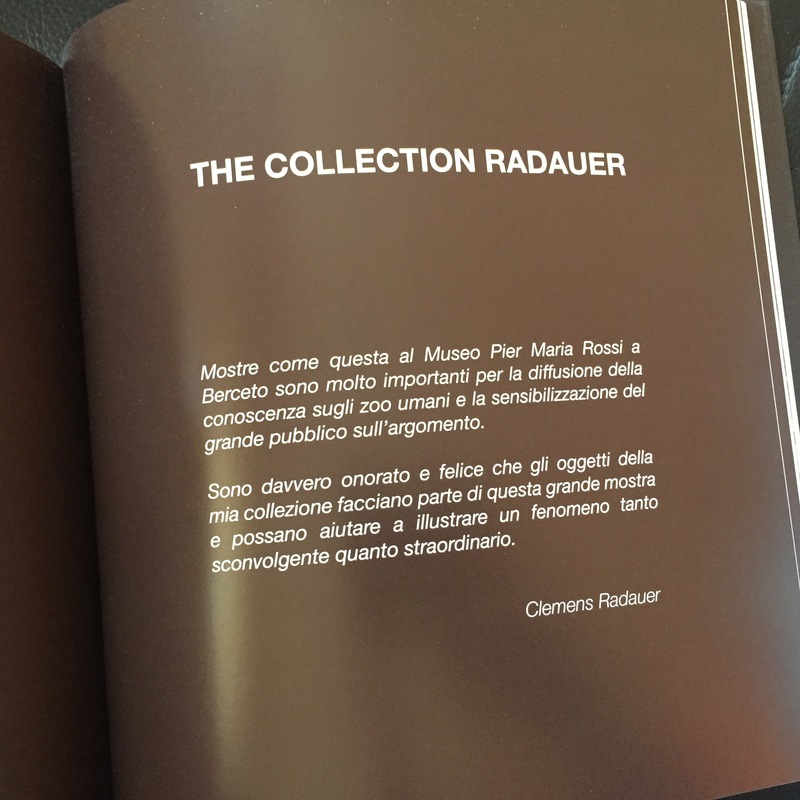 The Collection Radauer cooperated with the Museo Pier Maria Rossi in Berceto, Italy, for the exhibition Storie di Vite Usate – la diversita in mostra. The exhibition is on show from 23.07. 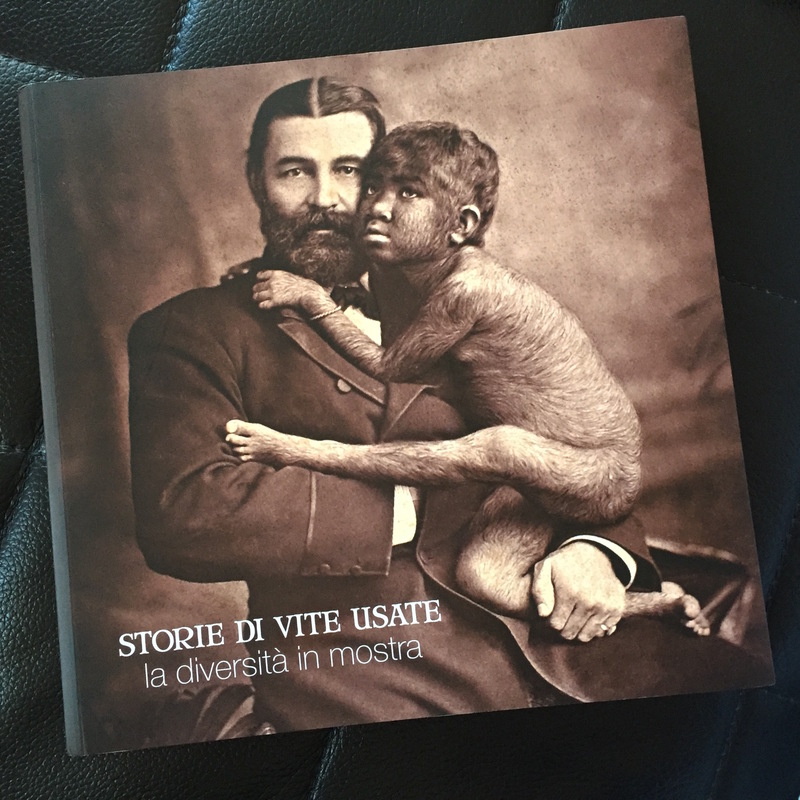 – 25.09.2016 and focusses on the history of human zoos with a focus on Italy. 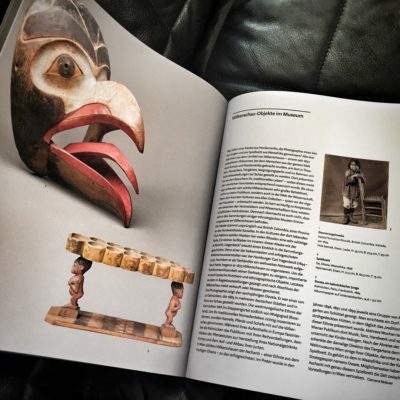 Over 50 original items from the Collection Radauer are on display and even more images are featured in the catalog for the exhibition. 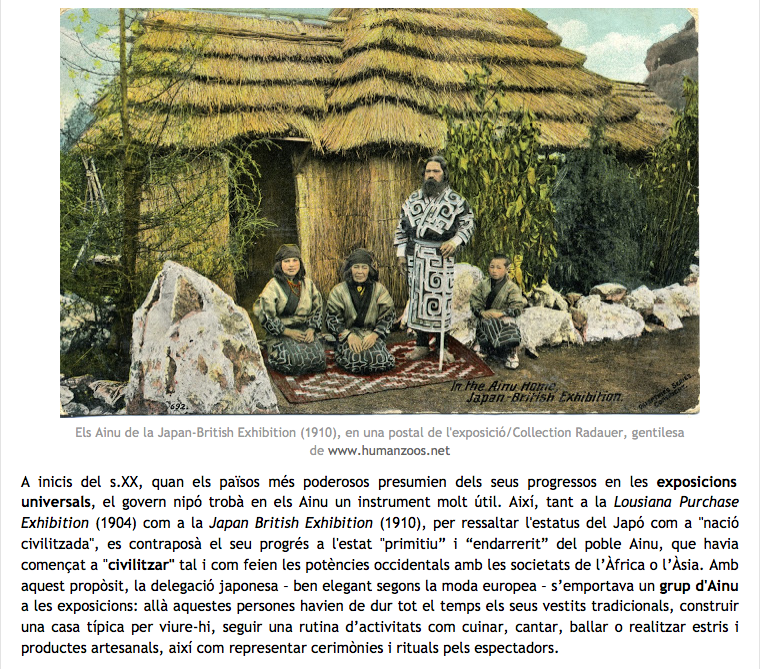 A picture from the Collection Radauer was used for this blog about the Ainu from Japan. 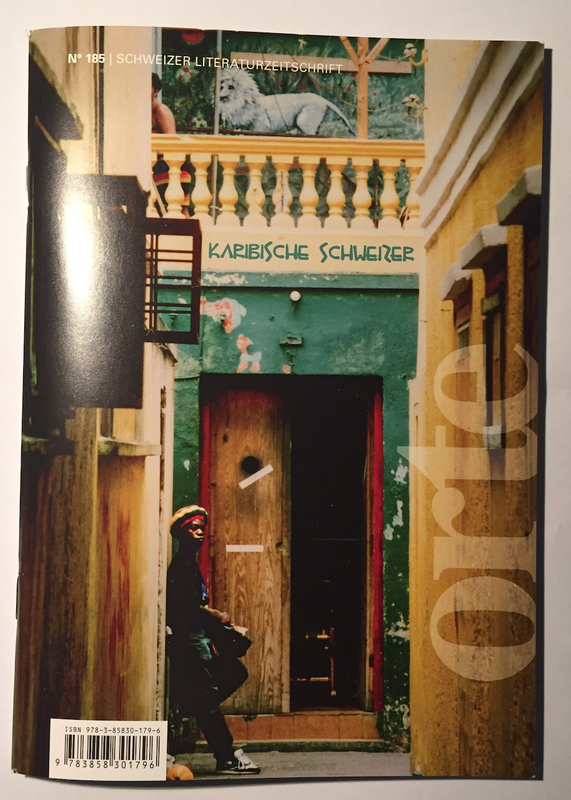 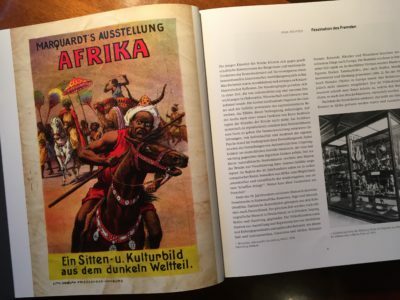 The Swiss literature magazine Orte – Schweizer Literaturzeitschrift featured an article about Switzerlands role in Colonialism in its March issue. 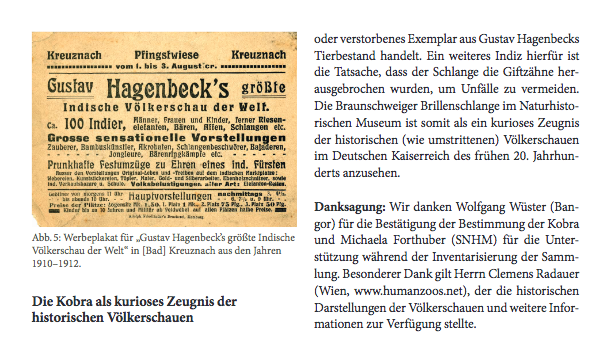 One of the pictures was an original flyer from the Collection Radauer. 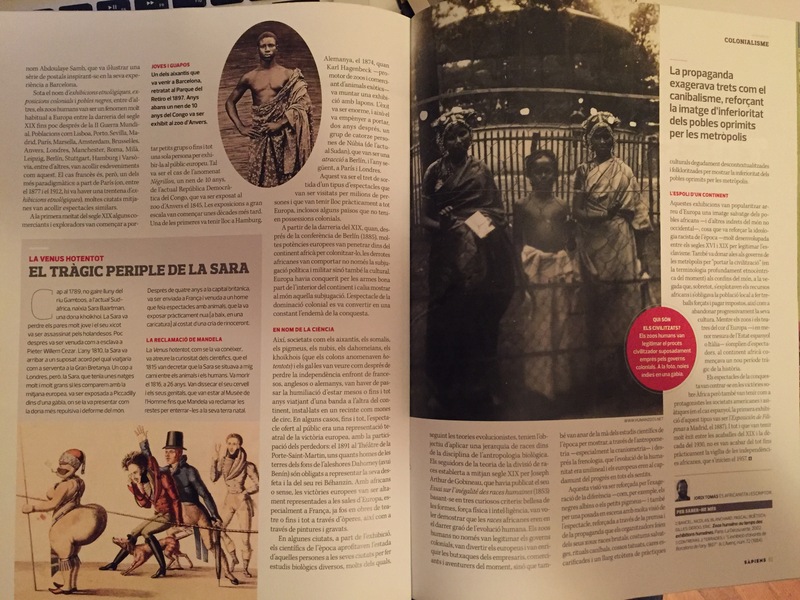 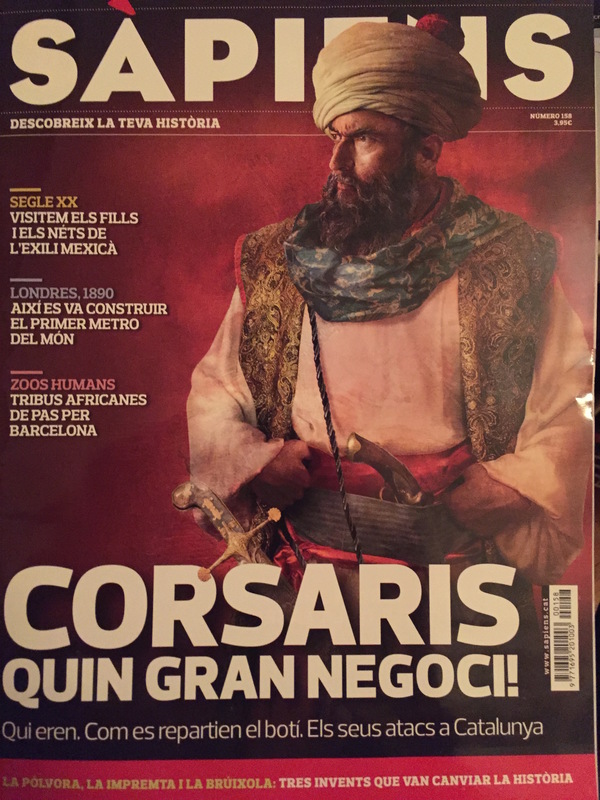 The catalan history magazine Sapiens featured an article about human zoos in its September issue. 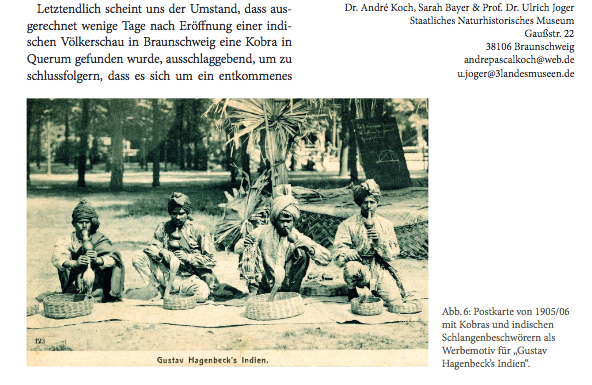 Two of the pictures were original photographs from the Collection Radauer. 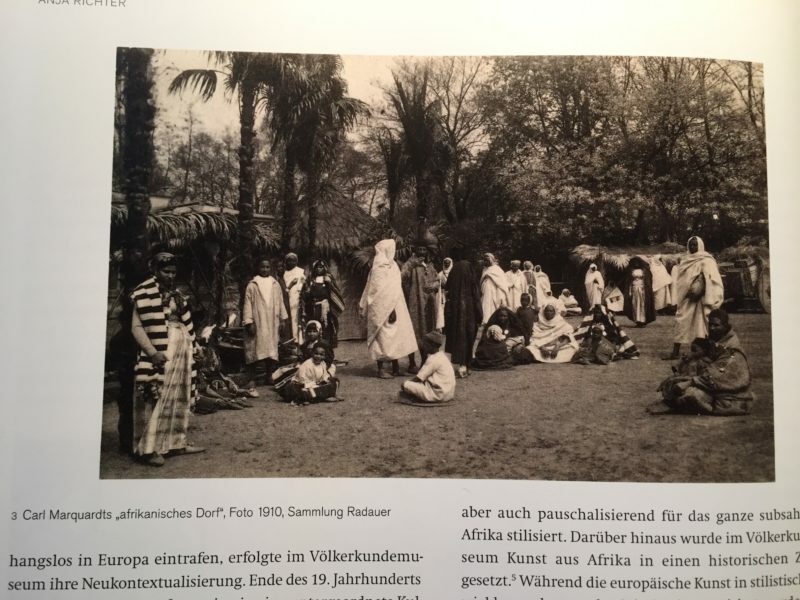 The Goethe Institute Addis Abeba used two postcards of the Collection Radauer for an exhibition called “Cultural Research in Northeastern Africa” – about the unusual relationship between Ethiopia and Germany during the past three centuries. 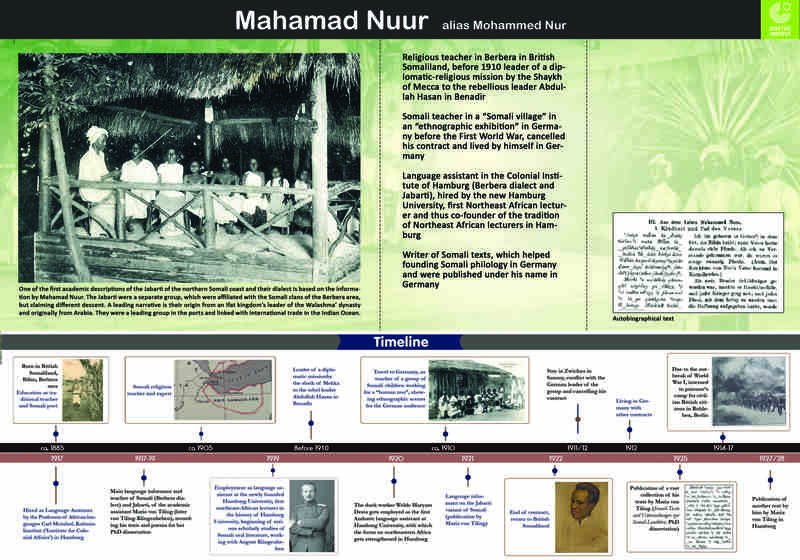 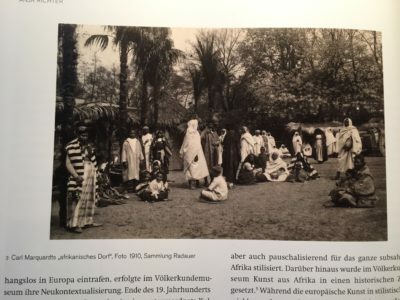 One of the interresting stories featured in the exhibition is that of Muhammad Nur – a scholar from British Somaliland who came to Germany with a human zoo in 1910 and stayed there until 1922 working for different istitutions such as the ‘Kolonialinstitut’ (Institute for Colonial Affairs) and the University of Hamburg. The Kunsthalle Mannheim is showing an exhibition on Ernst Ludwig Kirchner – one of the founders of the artists group “Die Brücke” – called Der Doppelte Kirchner. 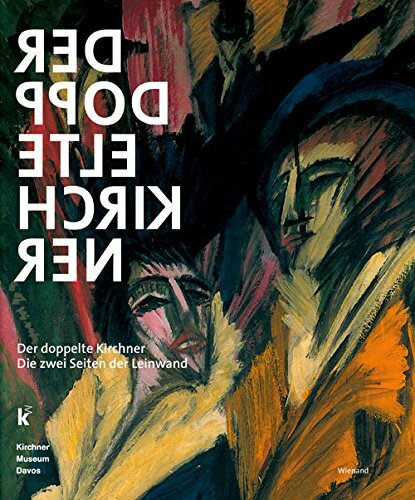 The title of the exhibition refers to the often forgotten sketches/paintings on the backside of Kirchner’s works – which is an effect of the recycling of canvases by simply turning them around. 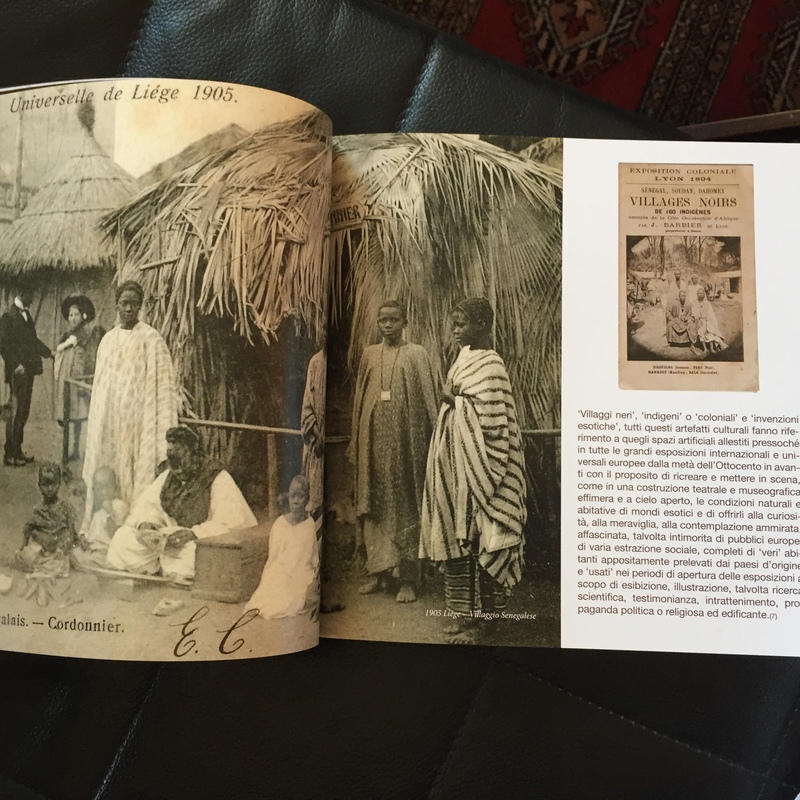 In the 1910s Kirchner visited human zoos and sketched the participants and therefor two postcards of the Collection Radauer are used in the exhibition catalogue for reference. 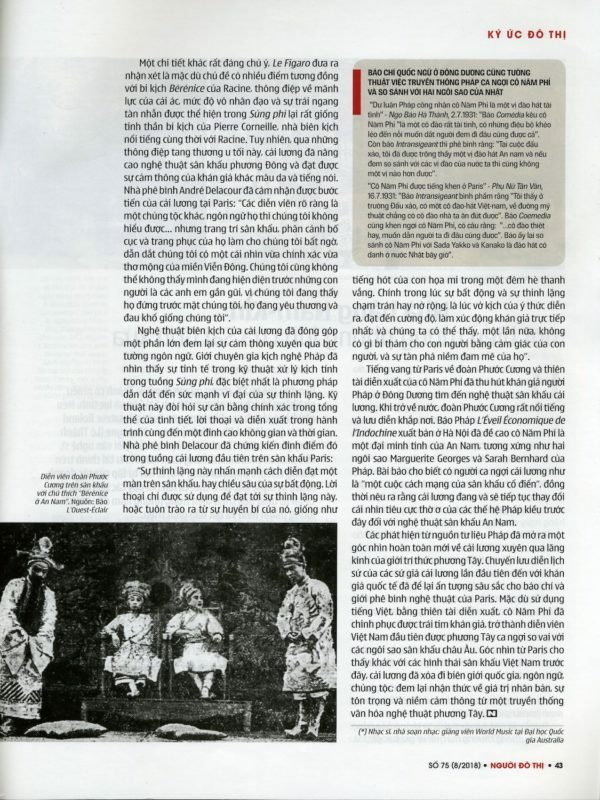 Les éditions du Crieur Publique did a review on an article on human zoos in the July 2014 edition of P.M. Magazine which focusses on the history of human zoos in Germany. 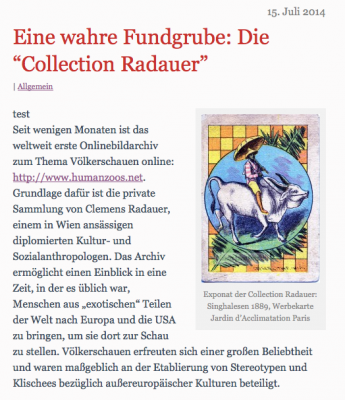 In this article a postcard from the Collection Radauer was used. A picture of the Collection Radauer is used in an online exhibition of the Hampshire College’s Institute for Curatorial Practice (ICP) called Sometimes a Traveller: Women, Othered Bodies, and the Colonizing Gaze. An article about the Collection Radauer published by Les éditions du Crieur Publique. 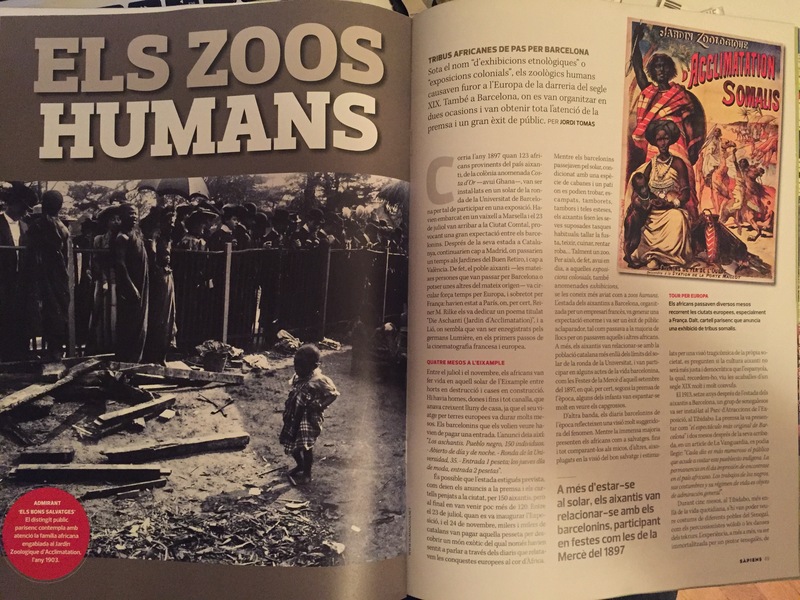 A German-French publishing house that also focusses on human zoos – Les éditions du Crieur Publique – published the great anthology “Zoos Humains” in German in 2012: Menschenzoos. 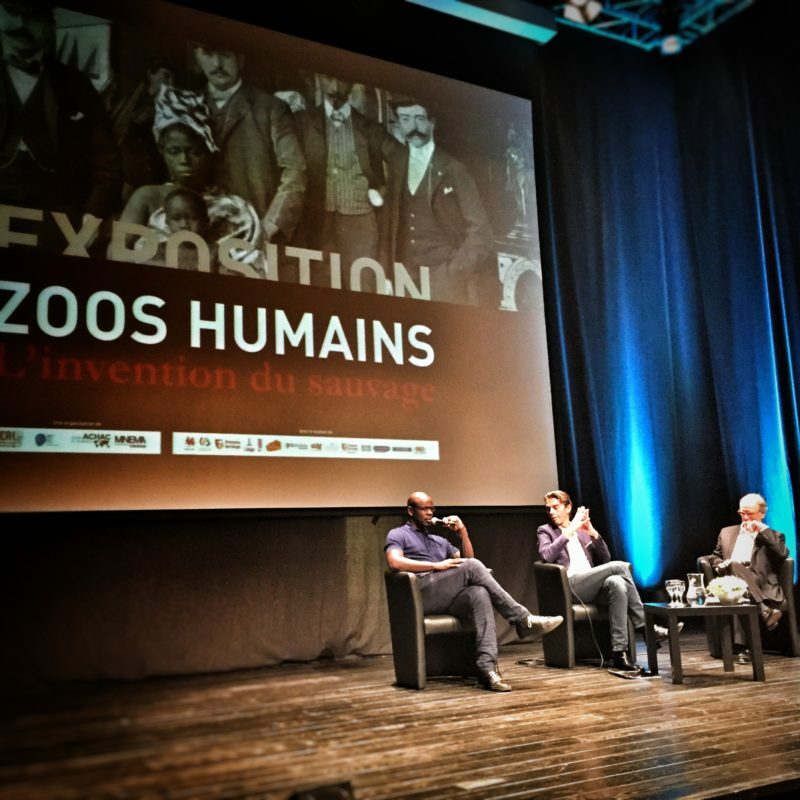 The publishing house is also cooperating with the French research Group ACHAC in order to bring the exhibition HUMAN ZOOS, The invention of the savage – which has been touring through France after opening in the Musée du Quai Branly in 2011 – to Germany. Les éditions du Crieur Publique and the Collection Radauer have chosen to cooperate in the future. 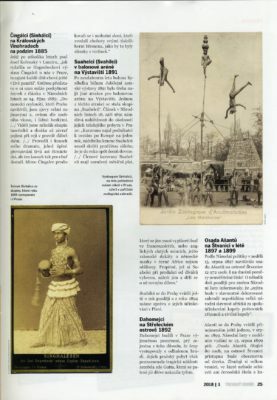 The exhibition will be focussing on human zoos from Samoa organized by the brothers Carl & Fritz Marquardt between 1895 and 1911. 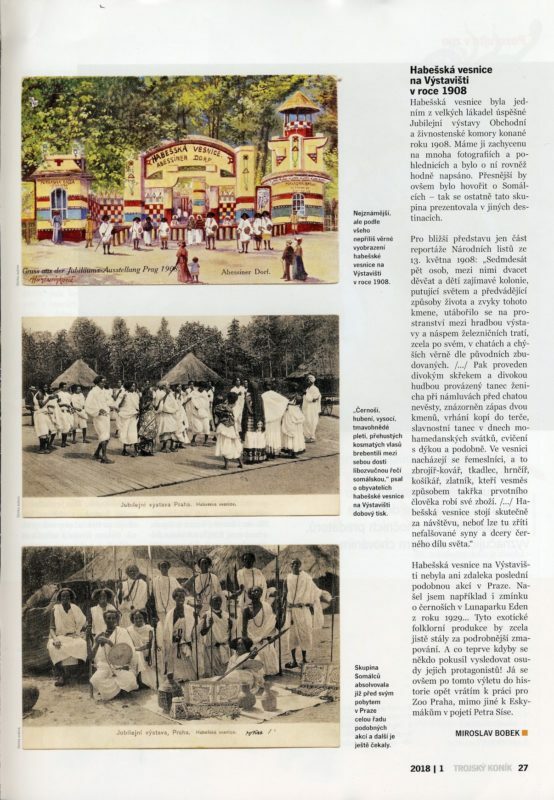 Several aspects of these human zoos will be discussed. 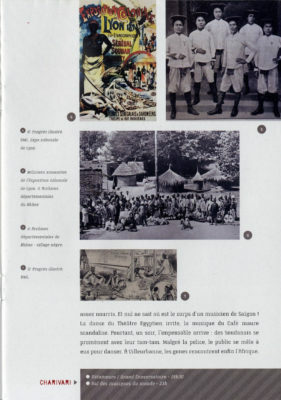 How were the participants recruited? 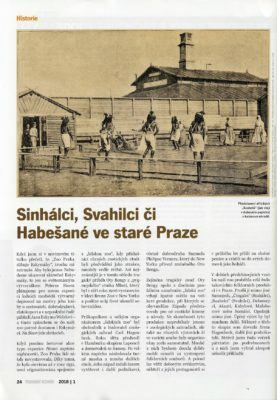 Did they participate voluntarily or due to force? 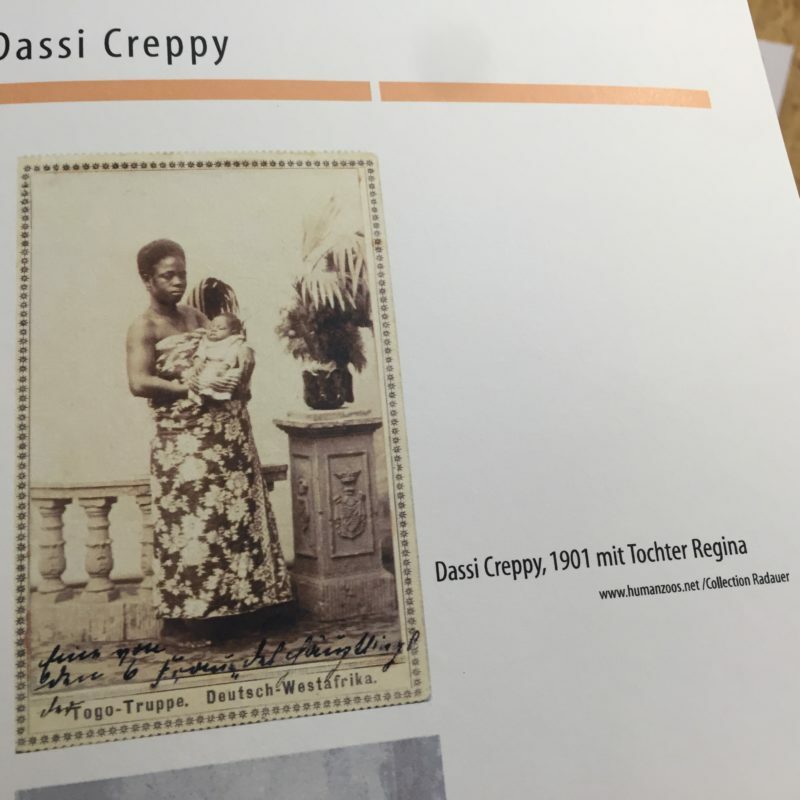 How did the German public percieve these exhibitions? 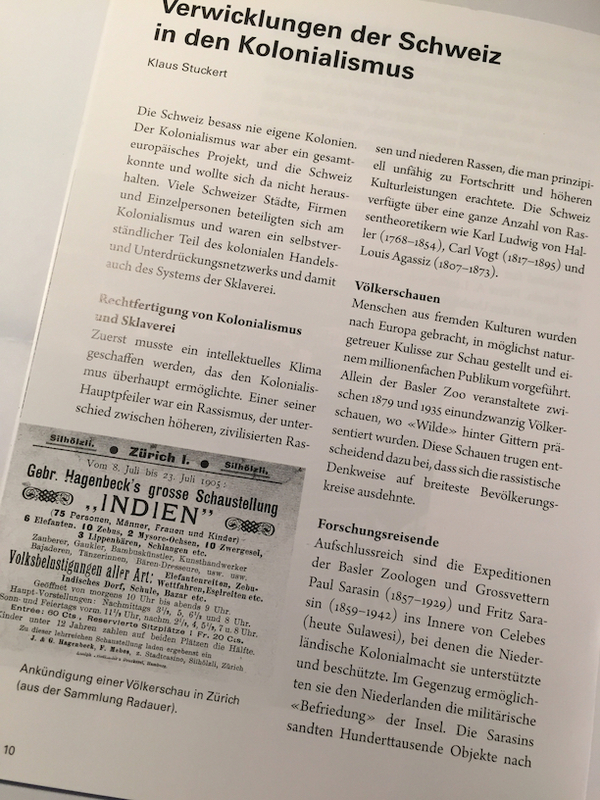 What was the true intention of the German organisers? 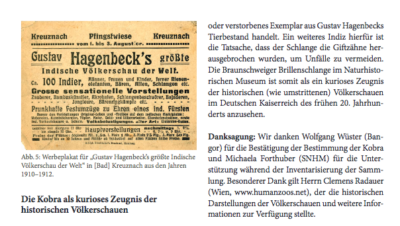 What was the impact of these exhibitions on the turn of the century Germany? 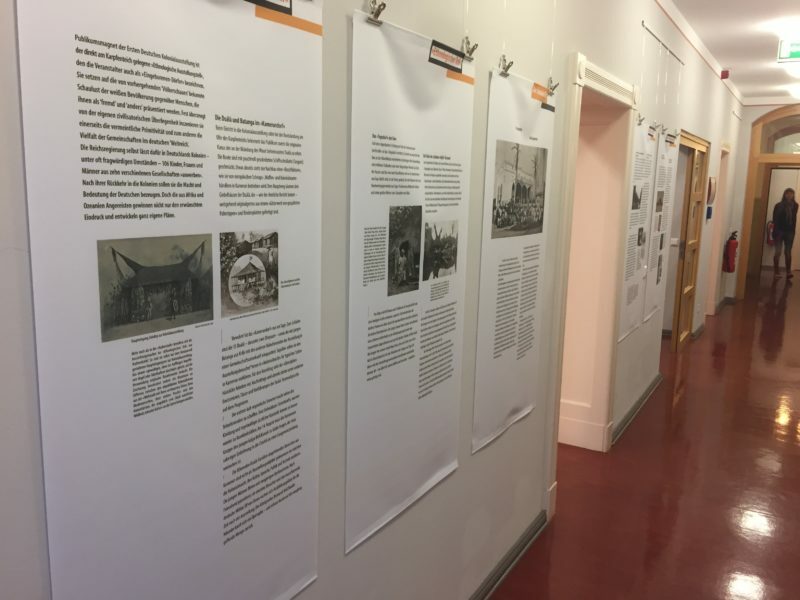 These and many other questions will be answered with help of pieces from archives, private collections, collections of the museum and interviews with descendants of participants. 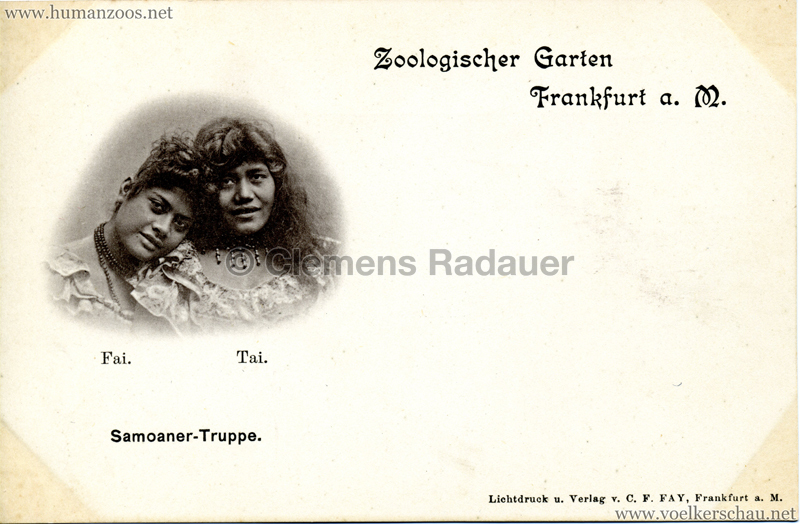 1895/1896 Samoaner-Truppe im Zoologischen Garten Frankfurt a. M.